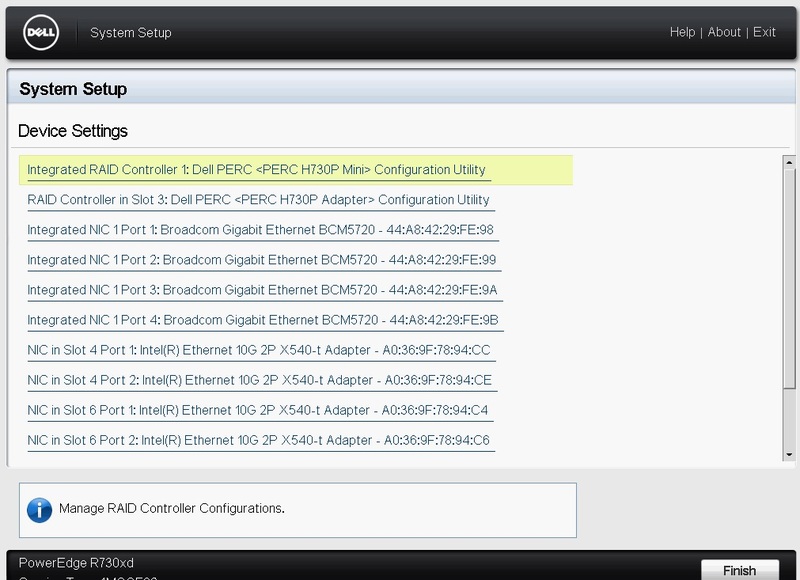 Sometimes during a deployment you might not be able to or want to install ESXi to the embedded SD Card controller on the Dell PowerEdge servers, for example if your memory configuration exceeds 512GB of RAM then installing ESXi to an SD Card would not be supported, or you may want to have a locally defined Scratch Partition on a local VMFS volume rather than using a remote Syslog or NFS Share, so what are the options? 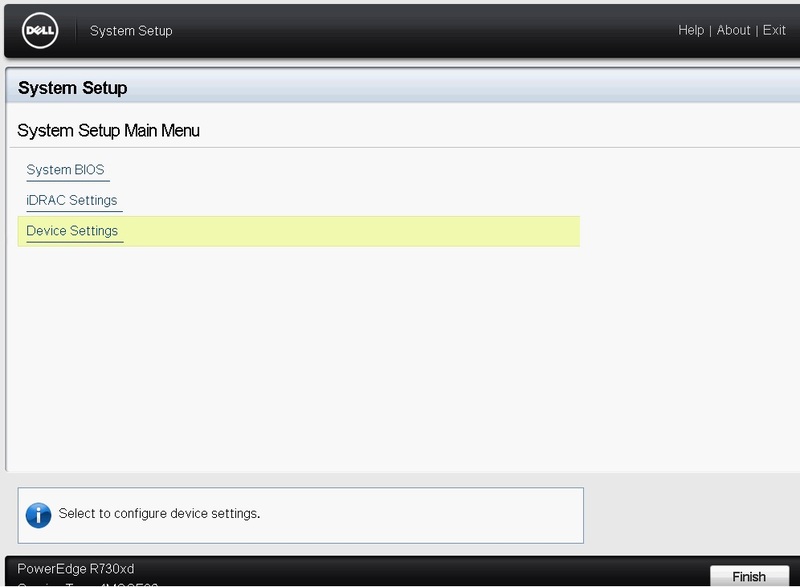 Well you could boot ESXi from a single disk, the downside to that is if the disk fails then you are in a host down situation, the other option is to use two disks in a RAID1 mirror and use that for the ESXi installation.? With servers such as the R730XD you can utilise all 24 drive slots in the front of the server for Virtual SAN, and then two rear 2.5 Inch slots for your RAID 1 Mirror drives.? 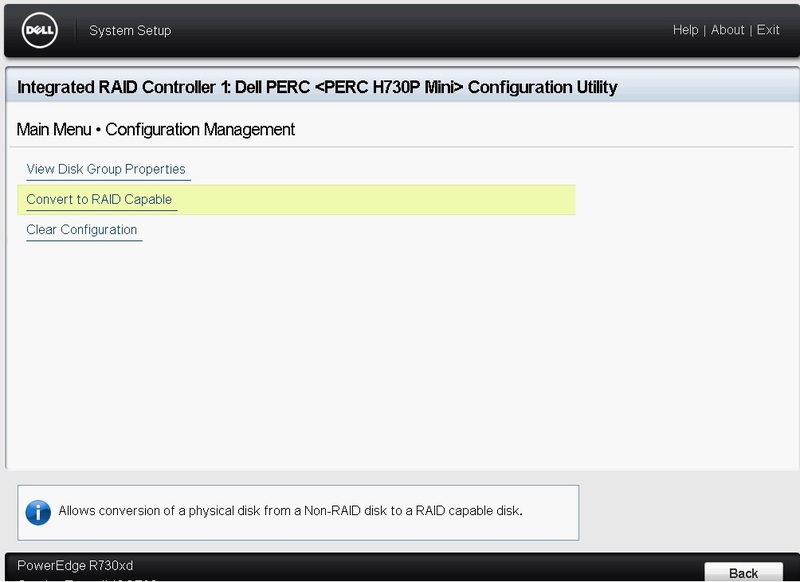 In my lab environment I have a similar config, I have a bunch of SSD drives used by Virtual SAN and then two 300GB 10K SAS Drives in a RAID 1 Mirror for my ESXi install and local VMFS Volume.? 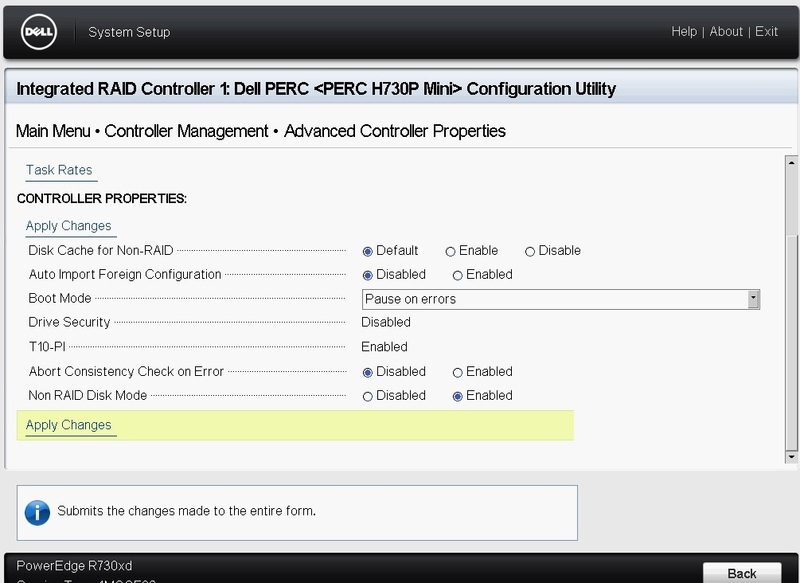 So how do we configure the H730 controller to support both Passthrough Disks and RAID disks? 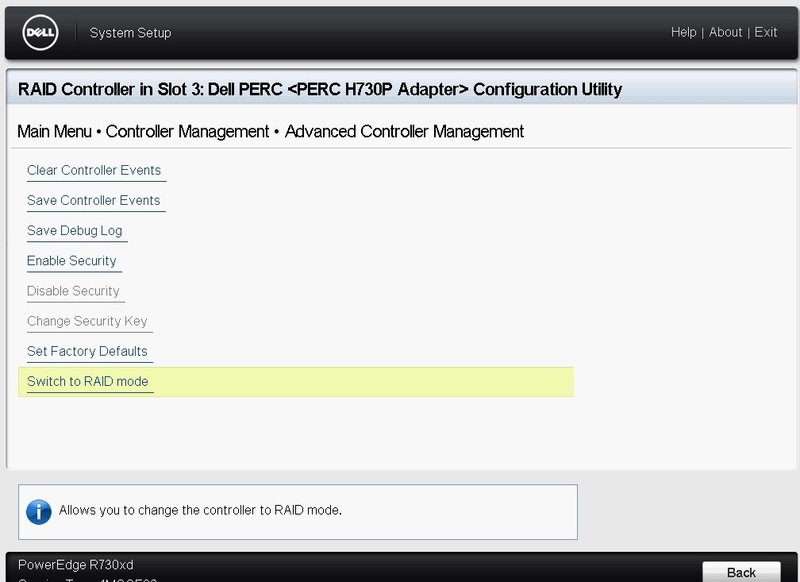 Once in the Device settings we need to chose the option for Controller Management and at the way to the bottom and choose the option for Advanced Controller Management, in there you will see an option for Switch to RAID Mode, when selected it will inform you that a reboot is required, do not reboot the host just yet.